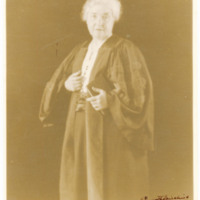 Studio portrait of M. Carey Thomas, facing the camera and holding a closed book in her left hand, off to the side. 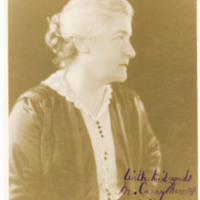 Studio portrait of M. Carey Thomas, facing sideways; 'with kind words' inscribed on front. 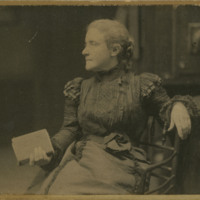 Studio portrait of M. Carey Thomas, seated in a chair and holding a book, taken in New York. 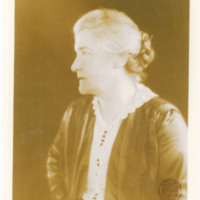 Studio portrait of M. Carey Thomas, facing sideways. 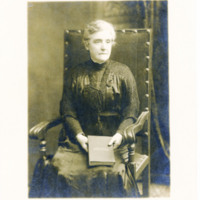 Studio portrait of M. Carey Thomas facing away from the camera, seated and holding a book in her right hand. 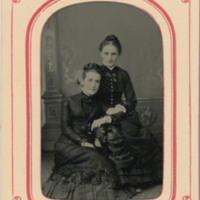 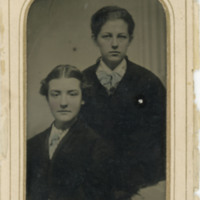 Studio portrait of M. Carey Thomas and Mamie Gwinn.